Tighten™, a premium toning supplement for both men & women, is designed to reduce stubborn fat areas around the stomach, waist, hips and thighs. 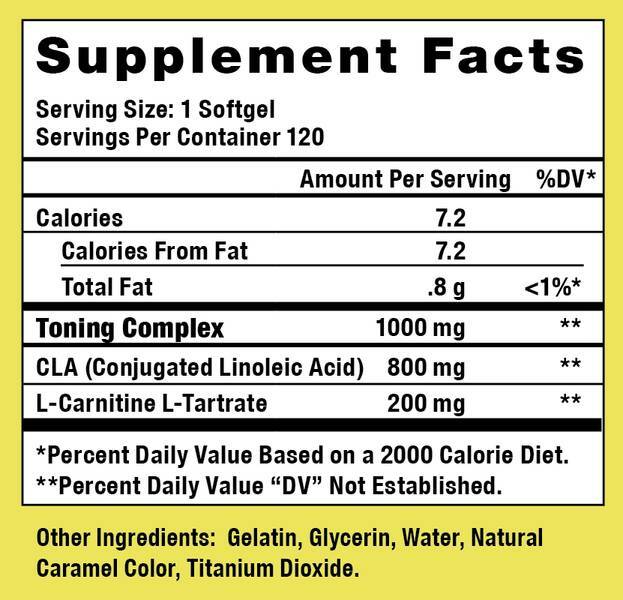 CLA (conjugated linoleic acid) inhibits lipoprotein lipase, an enzyme that breaks down fats from our diets and stores it in the body. By suppressing this enzyme with Tighten, you will reduce the amount of fat that is stored in your problem areas. 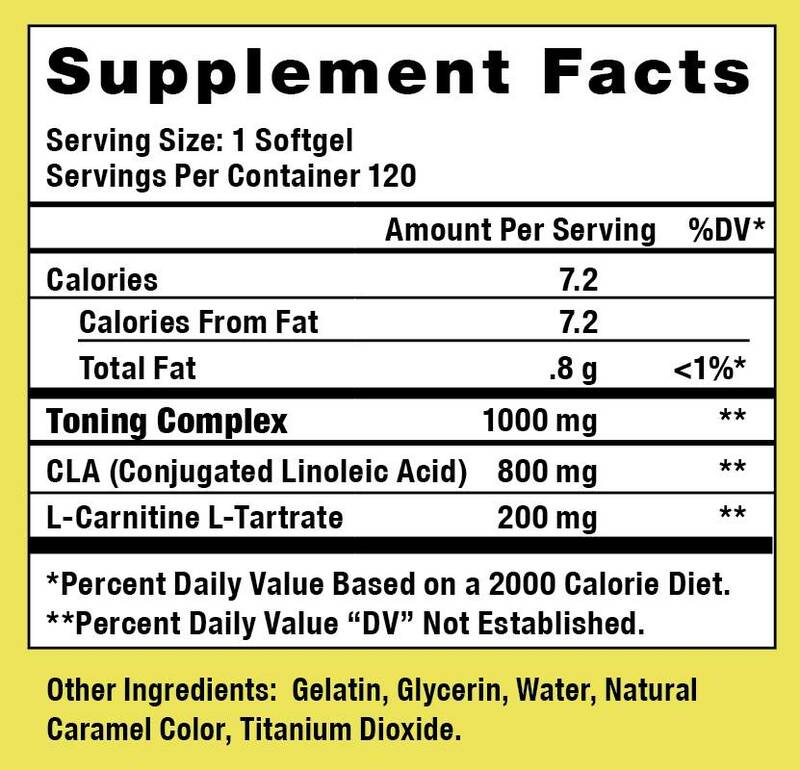 L-Carnitine is an amino acid that transports fatty acids into the mitochondria, where they are burned for energy assisting in weight loss. As a dietary supplement, take 1-2 softgels of Tighten™ in the morning, and 1-2 softgels in the afternoon, preferably with meals and a glass of water. For faster results take up to 6 softgels daily (2 softgels at breakfast, lunch and dinner).